Are you ready to explore the most exciting business opportunity in indoor cycling studios, since the introduction of “spin” classes? 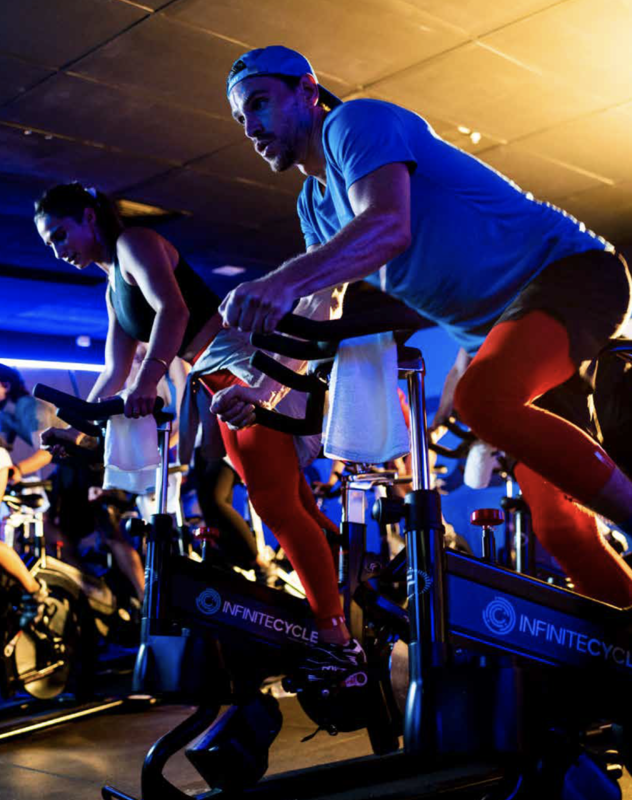 The first classes appeared in a Crunch New York gym in 1993 and although the trend and popularity of spin grew through the 2000s and continues to grow today, there has been with very little real innovation over the years. These studios saw the introduction of the readable real-time metrics such as Power, RPM and Heart rate and choreography cycling movements on the bike, but these spin bikes do not provide a real riding experience. They are immovable and only offer exercise to the lower body. However Infinite Cycle has changed all this by introducing a new and revolutionised static cycling experience. Infinite Cycle uses state-of-the-art spin bikes, providing a unique design, that allow the cyclists to experience a totally experiential, challenging and unique cycling training session. To this, they’ve added amazing ‘virtual reality’ and individual morphing technology so that you can cycle through the hills of Tuscany or compete with others on-screen. The technology also provides exceptional statistical information during and after the training experience. Infinite Cycle has created an inviting, personal boutique environment to every aspect of the business, and pride themselves on ensuring all studios provide quality personalised service, value for money and an experience that invites every member to return, over and over again.